My Pippa piggie is flipping her food bowl over for the last few days. It's full when she does this! Any suggestions or clues as to why? Does she have a cagemate? How big is her cage? Does she have any chew toys or hideys to play with? It could be that she's just bored. My boys do the same thing, only they burrow under the fleece too, which drives me crazy I would suggest to get a heavy ceramic bowl. If it's not heavy, then she'll keep tipping it over. Moving the bowl to a different area in the cage might help as well. Maybe she'll forget if you change the cage setup frequently. She does it because she steps on the side of the bowl when she's eating and it flips. You either need a bowl so heavy she can't flip it, or one flared out at the bottom so it won't tip. Ours do it on accident. 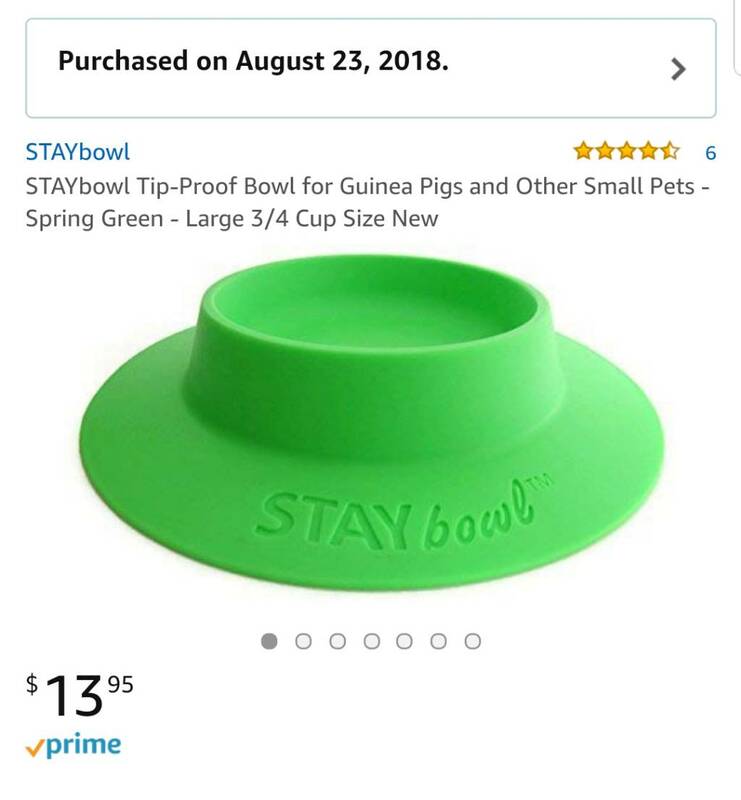 So we bought one of the Staybowls. Never happened again. I bought a little square ceramic dish at a thrift store. It’s heavy enough that it won’t tip, but short enough so she can hop over it during zoomies. I had a cute one shaped like a stalk of celery but it was too tippy.